a. The UK317 server is for use by anyone regardless of ability. b. Please be helpful and patient with other players, especially if they are beginners. c. Please read any instructions posted in the session descriptions or Briefing Room chat box BEFORE you join. d. Some default FSX aircraft are banned on the server, do not attempt to use them, you will be automatically ejected. e. Default FSX aircraft are preferable, they seldom use more than 200 packets unless repainted. f. If you use add-on aircraft be aware that some generate excess network traffic that can overload the server and spoil the game for others. g. Network traffic levels are continually monitored and the server robot will eject you if your network traffic demands are too high (1500+ packets). h. Add-on aircraft that are a persistent cause of excess network traffic demands will be banned. i. If your computer attempts to load AI traffic onto the server when joining you and the AI traffic will be automatically ejected. a. Ensure that you have a correctly set up working microphone and know how to change frequencies on your radios. b. DO NOT broadcast on all frequencies (Shift + Caps Lock). c. Listen carefully for a suitable break before transmitting. d. Some radio calls require a reply, wait for that reply before making your own call. e. Social chatter is okay if the frequency in use is quiet, but please, no foul language, inappropriate comments or arguments. f. The UK317 TS3 chat room/lobby may be used for non-essential communications to avoid cluttering radio frequencies. g. There is a HELP channel in Teamspeak. If you require help move yourself into the HELP room, if someone is available they will meet you there. h. Radio calls should be short and courteous, clearly identify yourself, avoid long-winded calls. i. Try to use standard phraseology wherever possible and in any event make your calls clear and understandable. j. If there is an ATC position manned (as advertised in the chat box), tune into that frequency and at least maintain a listening watch. k. If there is no ATC facility in use tune into Unicom (122.80) or better still listen to both Unicom AND the default radio frequency (118.75). l. Wherever possible ensure that you correctly use your radios, even if you cannot or are unable to transmit radio traffic may be of direct concern to you. a. When using the WAA Teamspeak facility do not use nicknames or false names in an attempt to mislead other users, enter your full name or your first name. b. Ensure that you have a correctly set up working microphone, use the 'Press to talk' setting in Teamspeak settings, do not use the 'Voice activated mic' setting. c. Listen carefully for a suitable break before transmitting and do not talk over other people, wait for your turn. d. If you see someone in the 'Help' channel, go to that channel yourself and see if you can offer assistance. e. Any form of abuse, bullying, pestering users, being a nuisance, or misuse of Teamspeak in any way is unacceptable may result in you being banned from WAA Teamspeak. a. Not everyone has a working headset and microphone. You may be tuned into the wrong frequency. Radio/volume settings may be wrong... Make use of the chat box! b. As with all FSX communications any form of abuse, bullying, pestering users, being a nuisance, or misuse of the chat box is unacceptable. c. The server robot updates its message every few minutes. Aside from making use of the server robot functions, open the chat box periodically to see if there is a message for you. a. When you enter the server take care with you starting position, selected aircraft, and FSX settings. b. DO NOT spawn or start on an active runway and do not attempt to use banned aircraft. Make sure you have disabled AI traffic in your FSX settings. c. If you re-enter the server after having been ejected consider why you may have been ejected in the first place! d. The three most common causes for server ejection are: Starting on an active runway; Attempted use of banned aircraft; Too much network traffic (bad add-on aircraft). e. When you leave the server DO NOT use the ‘X’ (close window) at the top right of the window. f. Exit the game/server via the ‘Flight, End Flight - Esc’ menu at the top left of the window, or use the ‘Esc’ key. a. Ensure you know what your call sign is and do not use inappropriate player names or call signs. b. If you spawn in the air in an ATC controlled area fly away from the airfield and contact the ATC as soon as possible. c. DO NOT spawn on an active runway, if a runway guard is in use you will be ejected from the server without warning. d. If your starting position interferes with another player any server Admins present may eject you. e. Take care with your starting position and if you start on the ground in an ATC controlled area, do not move without permission from ATC. b. If there is no ATC active make advisory traffic calls on 122.80 especially if you are aware of other aircraft nearby. c. If there is an active ATC make use of them and be respectful of any service they offer. d. Listen carefully to ATC calls, fully read back ATC calls for you, act upon them promptly. e. In all instances make your intentions clear, use flight plans if possible, advise ATC of any changes. g. DO NOT pause your game if you are flying in controlled airspace when there is active ATC without first asking the controller. a. If you take on ATC duties make sure that you know the duties and roles of ATC, the airfield layout, charts, and the area first. b. 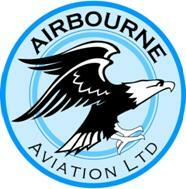 If you do undertake ATC and there is another ATC active co-operate with them and do not compete for traffic. c. Make your calls clear, understandable, and issue no more than 3 specific instructions per call. d. If there is already an active ATC elsewhere establish contact with them and share traffic if practicable. e. Air Traffic Controllers should register their position either via Flight Strips or the ‘ !T ’ server robot function. f. Air Traffic Controllers may be granted Admin status according to genuine need or upon request. a. While the server encourages learners, ATC can be a difficult and demanding role and learners are required to ask a server administrator for permission to do ATC first. b. Depending on availability administrators may train, vet, and mentor new controllers before permitting them to act as full ATC’s on the server. c. New controllers are expected to have been regular users of the server for at least 4 weeks (or a period at the server owner’s discretion) before they will be permitted to act as an ATC. d. Only UK317 approved ATC’s are permitted to provide ATC when there is a published event on the server. a. Players are reminded that Admin status on the server is a privilege, not an automatic right, and that Admin rights must be used wisely. b. A player may only be kicked if they are causing obvious disruption to other players or if they are not co-operating. c. Before a player is kicked attempts should be made to contact or warn the errant player of their wrongdoing either via radio or chat. d. Players may only be banned after 3 kicks or if it is obvious that they have no intention of co-operating, the ban will remain in place at the discretion of the server owner. e. In the event of a player being banned the person making the ban must contact the server owner to detail the reason(s) for the ban. f. Players with Admin status are strictly forbidden to grant Admin status to other players without the express permission of the server owner. g. The server owner reserves the right to revoke Admin status granted to a server user at any time, or for any misuse or infringement of that Admin status. a. Non-communication with other players, especially Air Traffic Controllers, due to no microphone, poor microphone set-up, or other inability to use radios properly. b. Persistent transmission on all frequencies, wilfully talking over other players, or any form of disruptive communications. c. Repetitive use of banned aircraft or spawning on an active runway in an attempt to disrupt the game or server. d. Repetitive attempts to inject AI traffic or excessive network demands on the server. e. Taxiing, take-off, or landing at an ATC controlled airfield without permission. f. Wilful disobedience or inability to follow instructions, especially those issued by Air Traffic Controllers. g. Hijacking (by joining a shared cockpit or control tower) with the intention to disrupt or interfere with the pilot or controllers actions. h. Deliberately shadowing, following, harassing, or attempting to collide with another aircraft without that pilot’s consent. i. Foul language, inappropriate conversations, player abuse, arguments, antisocial behaviour either via voice comms or the chat box. j. The use of offensive or inappropriate player names or callsigns. k. Abuse, in any form, of any other player or their abilities, improper use of the server or Admin rights. l. Making spurious “Mayday” calls when there is nothing wrong with their aircraft or if a failure is self-inflicted. m. Spam or other unsolicited advertisements for other user groups or servers, either via voice or the chat box. n. Use of a false ‘GamespyID’ in an attempt to mislead, harm, or disrupt the server or players. p. Pausing an aircraft inside controlled airspace without the explicit permission of the ATC concerned.